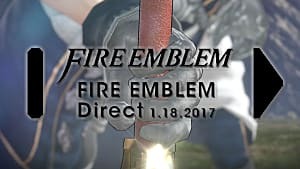 In previous Fire Emblem titles, class promotion was as simple as grabbing a Seal and dropping it on any unit level 10 and above. However, due to the more JRPG-influenced gameplay of Shadows of Valentia, simply changing classes at level 10 might not be the best option. Furthermore, the ample amount of villager class units that you get from the very beginning can make or break your playthrough on higher difficulties. In this guide, we'll take a look at when you should change classes, as well as what classes each villager you come across should change into for the best effect. 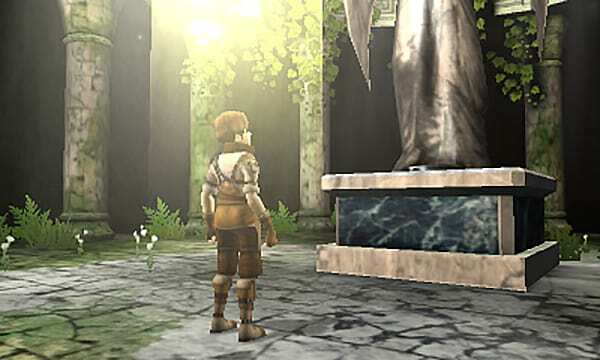 In Shadows of Valentia, class changes can only happen at shrines. These shrines will allow characters to change to the next class in their class tree. Each class will have improved stats over the last one, and has unique base stats that the unit will match upon changing. Knowing what the base stat is for each class is important, as units will only gain the bonuses of class changes if their current stat is lower than the one they would have in the new class. As a result, it is still viable to level a unit to 20 before changing. However, the way that Shadows of Valentia is balanced may result in a much more difficult run than if you simply change classes as soon as possible. As a general rule: level up characters as much as you can prior to changing classes -- provided it does not hinder your progress. Once progress has slowed down, consider changing classes, as it is not necessary to level characters to 20 for playthrough purposes. 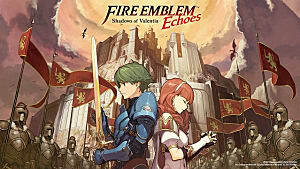 Dread Fighters have an interesting niche in Fire Emblem: Echoes - Shadows of Valentia, as they are the only class that can actually return to the Villager class. As such, they can be considered a "grinding class" if you would like to do so in the post-game. That said, it might not be recommended for a practical run unless you want to break conventional gameplay methods and spend your entire time gaining experience. Every villager has their talents, and playing to them can make your playthrough easier or more difficult depending on the classes you choose for them. 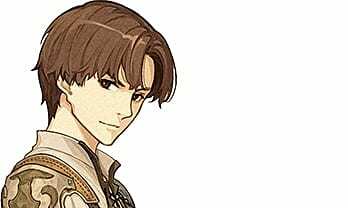 From the very beginning of your journey with Alm, you will have access to Faye, Grey, Kliff, and Tobin. 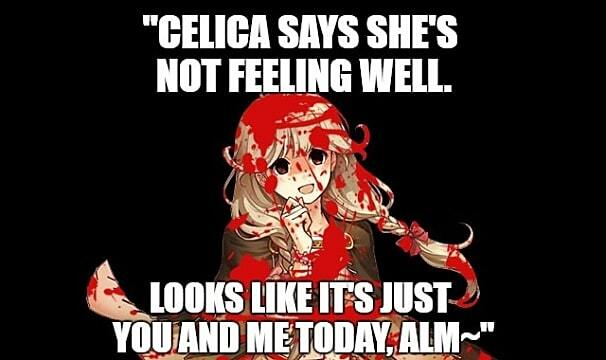 Later you will find Atlas in Celica's story, who is the villager for her route. While these look great on paper considering the characters' personalities, they don't always work in the game itself due to factors varying from stat growths, to spell lists, and more. 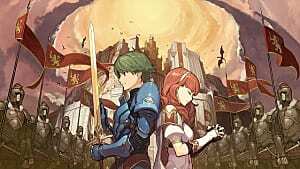 With this in mind, if you are looking for a purely canon run, these classes aren't exactly bad -- they fill in most of the holes in Alm and Celica's armies. 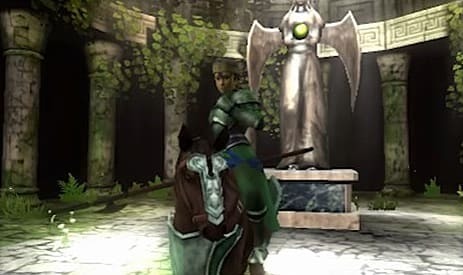 I would nevertheless recommend Cavalier for Faye to avoid an overload of Pegasus Knights in the late game, and Mercenary for Atlas -- unless you would rather have him act as a Cavalier to balance out Celica's abundance of mercenaries. 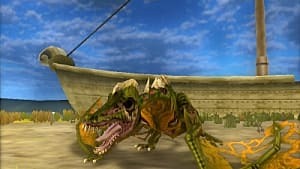 In Shadows of Valentia, Tobin has the benefit of no longer being outclassed by literally every other villager due to his poor growths outside of skill and luck. Now that he has been rebalanced, Tobin is actually much more effective as an Archer since his defense is still poor -- but he's also quite functional as a Mage if you want to use him that way. The reason why you might want to consider making Tobin a Mage is that he gets access to much more powerful skills early on -- with Excalibur being gained at level 6. He also has a higher speed than the other Mage candidate, Kliff, and so he has a higher chance of attacking twice. In the end, it is up to the player to decide which role Tobin fits best into. But due to his lack of defense the ranged classes should be higher on the list of priorities. Gray has the benefit of his recommended class lining up with his pseudo-canonical class. Thanks to his initial base stats, as well as his growth rates, it's difficult to recommend him as being anything other than a Mercenary. His low speed is buffed by the Mercenary class, which makes him considerably more viable. Alternatively, you could turn him into an Archer or Cavalier. 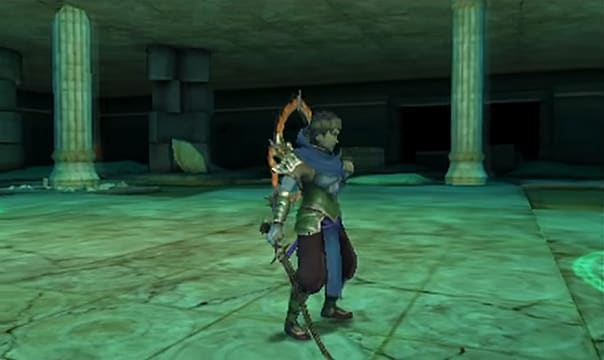 However, the Cavaliers and Archers you get later in Alm's story in the same chapter will quickly outpace him in terms of reliability. As such, Mercenary is the best way to go. 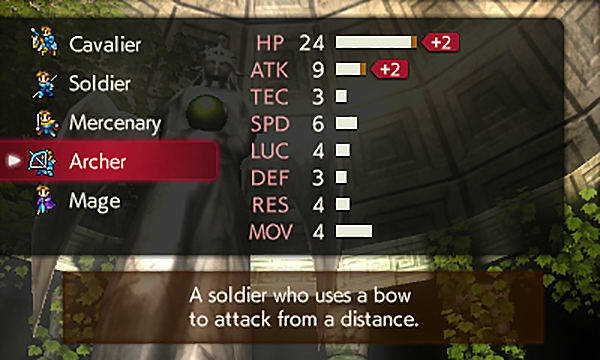 In fact, you can even class up Gray right away at the first shrine to take advantage of that early stat boost -- unless you're looking to make him much more reliable for the post-game. 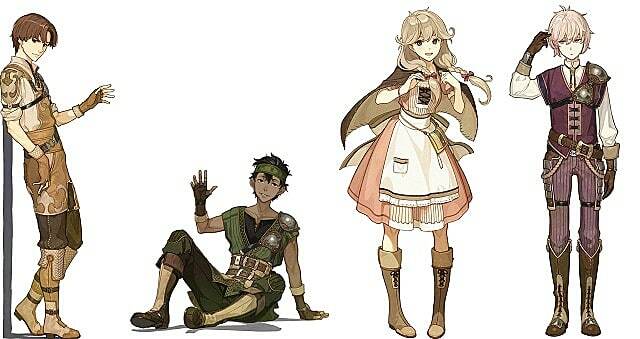 Considering the fact that the fandom has turned this Shadows of Valentia exclusive character into a Yandere, it's ironic that the Cleric class is perhaps the best fit for Faye. While Pegasus Knight and Cavalier classes do fit her well, Faye's Cleric spell list includes important spells such as: Physic (at level 6), Rescue (at level 10), Seraphim (Saint level 1), and Again (Saint level 14). While this might seem like gibberish to most, these spells are extremely valuable to Hard Mode players. Physic is a ranged healing spell. Rescue allows you to withdraw units that have overextended. Seraphim kills off Terrors like no tomorrow. And Again serves the same role as "Dance" or "Sing" in previous titles. The alternative is to set up Faye as a Mage, as she is the only one who can get Seraphim as a Mage. She will still learn Recover upon class changing to Priestess, and is the only unit in the game who learns Freeze -- a powerful late-game spell. If you really want to go with a physical class instead, it is recommended that you go with Cavalier for Faye -- so long as you level her up enough to be ready to promote to Paladin at about the same time as Clive. Kliff was one of the best villagers in Gaiden, but has since been nerfed to the ground. While he still functions well as a Mage thanks to his long repertoire of spells, he suffers from heavy HP and Speed bases and growths. HP is essential to casting spells, so unless you want to pump the HP into him via fountains found at the end of shrines, then you might want to consider otherwise. Overall, Kliff has been nerfed to the point where he is virtually outclassed in every single possible promotion. That said, with careful investment he can still be a useful Mage. Otherwise, change him into a Soldier. His base resistance can assist him as a Knight, but is still generally not recommended. While Kliff is fine in a Normal difficulty run, I would suggest dropping him in favor of other units as soon as possible. Atlas is a very difficult character to decide on due to his overall lack of a niche. While his stats scream Mercenary, Celica has far too many to make it worthwhile. Meanwhile, Archer isn't exactly a good fit due to his poor skill rating, while his defense stat isn't good enough to fit the role of Soldier. 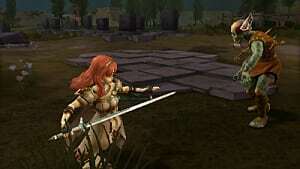 Cavalier could work as a valuable spot for Celica's army as she lacks high-mobility units aside from Pegasus Knights. Other than that, Mercenary should be considered in higher priority despite the abundance of them, due to Atlas' stats alone. 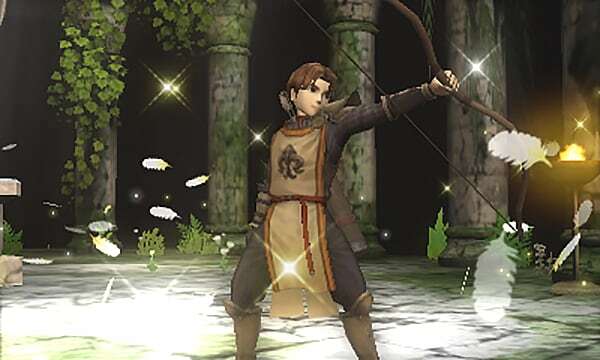 That said, Archer might be viable provided you spend some time buffing his skill rating with fountains. Hopefully this guide will help you make more informed decisions on what to do with your villagers. Remember, in a Normal difficulty playthrough it doesn't really matter which you chose. 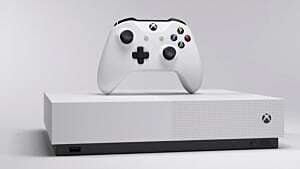 However, it will make your game a lot easier if you play each character to their strengths instead of throwing them into random classes. That said, feel free to experiment as fooling around with classes is a great way to set up more exciting runs.